Blockchain attracts more and more attention, and even such centralized structures as banks and governments are beginning to be interested in how to use this technology. However, there is another term – the distributed ledger technology, or DLT. Ironically, the most interest in DLT is shown by those organizations that bitcoin and blockchain wanted to replace – banks, governments, and large corporations. Recently, the Bank of England announced that with the help of a blockchain and the DLT wants to breathe new life into its real-time gross settlement (RTGS). The terms “blockchain” and “distributed ledger technology” are not the same here, and it is important to understand the difference. Let’s figure it out. The technology of distributed registries is, as the name implies, a database that is not stored and is confirmed in one place. Sounds like blockchain, does not it? But it’s not him. In DLT, the ledger creator has greater control over how this ledger is used than in the case of the blockchain. He can dictate how the structure of this network will be arranged, what its goals will be and how it will function. It sounds kind of not too decentralized, is it? From a technical point of view, DLT is decentralized and is based on the same principles of consensus as the blockchain system. However, the situation in which one governing body controls what is supposedly a decentralized network is contrary to the principles of decentralization – at least ideologically. DLT can be considered the first step on the road to the blockchain, but the important difference is also that in the distributed ledger there is not necessarily a chain of blocks. Rather, such a ledger is stored on a variety of servers that will interact with each other to ensure the most accurate and timely recording of all committed transactions. Among the companies that preferred the DLT to the blockchain, you can call Google. Recently, the company entered into a partnership agreement with Digital Asset on the implementation of DLT in its cloud services. Volkswagen also announced a partnership with IOTA “as part of the experiment on the use of distributed ledger technology”. On the other hand, we have a blockchain. A blockchain is a form of a distributed ledger with a specific technical stuffing. As we all know, a distributed ledger is created in the blockchain, managed by a decentralized network, where all records are approved by consensus. 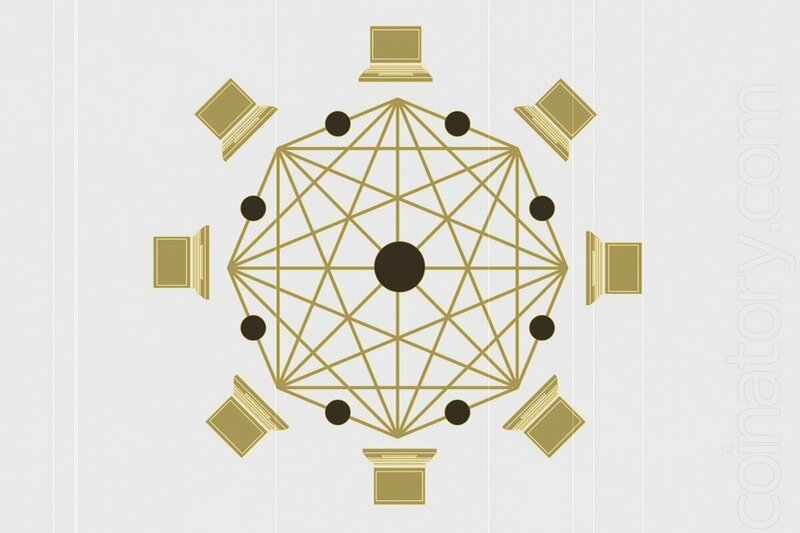 The blockchain is distinguished from DLT by the presence of cryptographic signatures and the fact that associated record groups form a chain of blocks. In addition, depending on the purpose of a particular blockchain, the community and users can decide what structure it will have and how it will be managed. A classic example of blockchain and decentralization is bitcoin. It has decentralized not only technology and structure but also an organization with management. In DLT, only technology is decentralized, but a corporate organization is not necessary. It is important to understand that these terms designate different things, even if sometimes used as synonyms. Organizations such as the Bank of England prefer to talk about DLT in order to distance themselves from the hype and volatility that accompany the blockchain and cryptocurrencies based on it. On the other hand, some corporations use the fashionable word “blockchain” for marketing purposes, even if they actually offer something else.